Below you fill find all funeral homes and cemeteries in or near Middleville. Suburbs of Middleville: Middlevle, Yankee Springs. 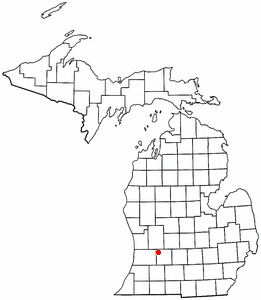 Middleville is also known as: Barry County / Middleville village. Zip codes in the city: 49333. Some of the notable people born here have been: (f. a. harper). It was noted by Kalamazoo Gazette on October 25th, 2018 that Joyce Kathalin Benedict (Pennock) died in Middleville, Michigan. Ms. Benedict was 89 years old. Send flowers to express your sympathy and honor Joyce Kathalin's life. It was written by Kalamazoo Gazette on December 2nd, 2017 that Vernice Jean Pacic (Wilson) passed away in Middleville, Michigan. Ms. Pacic was 94 years old. Send flowers to express your sympathy and honor Vernice Jean's life. It was written by Kalamazoo Gazette on November 30th, 2017 that Vernice Jean Pacic (Wilson) perished in Middleville, Michigan. Ms. Pacic was 94 years old. Send flowers to share your condolences and honor Vernice Jean's life. It was revealed by Kalamazoo Gazette on July 30th, 2017 that Arnold Boulter passed on in Middleville, Michigan. Boulter was 80 years old. Send flowers to share your condolences and honor Arnold's life. It was revealed by Kalamazoo Gazette on July 30th, 2017 that Anita I Howes (Dewees) perished in Middleville, Michigan. Ms. Howes was 96 years old and was born in Cairo, IL. Send flowers to express your sympathy and honor Anita I's life. It was reported by Kalamazoo Gazette on July 21st, 2016 that Richard L Giesing perished in Middleville, Michigan. Giesing was 92 years old. Send flowers to express your sorrow and honor Richard L's life. It was written by Kalamazoo Gazette on July 21st, 2016 that Richard L Giesing passed on in Middleville, Michigan. Giesing was 92 years old. Send flowers to share your condolences and honor Richard L's life. It was written by Kalamazoo Gazette on April 20th, 2016 that Thomas S "Rabbit" Rybiski passed away in Middleville, Michigan. Rybiski was 73 years old. Send flowers to share your condolences and honor Thomas S "Rabbit"'s life. It was written by Kalamazoo Gazette on March 6th, 2016 that Rita Giesing (Hartwell) died in Middleville, Michigan. Ms. Giesing was 93 years old and was born in Sarnia, . Send flowers to express your sympathy and honor Rita's life. It was reported by Kalamazoo Gazette on June 2nd, 2015 that Robert L Spaulding passed away in Middleville, Michigan. Spaulding was 90 years old. Send flowers to share your condolences and honor Robert L's life. "Middleville" was suggested because of the proximity of an Indian village known as "Middle Village" on Scales Prairie near the boundary line between Thornapple and Yankee Springs townships. The village afterwards became known by the name of the post office. Bradley, continued to maintain the post office at Dibble's house until 1843, when it was moved to the present village of Middleville, with Calvin G. ends at Adams Rd. .
Funeral in Middleville MI, Michigan Local Yellow Pages by Yellowbook. Having a Yellowbook Moment? Find the funeral you need when you need them. Middleville Funeral planning made easy! Learn how to pre-plan your funeral in Middleville, Michigan, including step-by-step directions. Find embalmers & Embalmers in Middleville, MI. Read business reviews, find driving directions, and more. embalmers on YP.COM. Beeler Funeral Home, Middleville, MI : Reviews and maps - Yahoo! Local, 269.795.3694. Get Ratings, Reviews, Photos and more on Yahoo! Local. We work with local florists and flower shops to offer same day delivery. You will find budget sympathy flowers in Middleville here. Our funeral flowers are cheap in price but not in value.